Marketing Goal: Getting the right message to the right people via the right media and methods – effectively, efficiently, and profitably. It is about motivating people to action, often into doing something they would not do purely of their own initiative. They moved because of your “irresistible offer!” or an impulse or an itch they can’t scratch. The message lives in the story you tell to the customer about what you do and why you do it. The beating heart of that message is your Unique Selling Proposition(s). Dan Kennedy (DK) points out that comparative costs of marketing do not play a big role in determining desirable outcomes. He argues the “comparative return on investment translated into net profit that matters”. Is your marketing built around the most powerful, persuasive, intriguing, compelling, fascinating message possible? Have you determined precisely who your message should be for and figured out how to put it in front of them – quite possible at exclusion of all others or at least with disregard for all others? Are you wisely investing in the most appropriate media for delivery of your message to the prospects in your chosen target market? Are you both effective and efficient? Are you accurately measuring the true, net return on investment from each marketing investment? Key point he makes because of the answers to the above question is never static, marketing is the place where the business owner needs to micromanage. In today’s hypermarket a truly great marketing message is even more important than “at any time in [Dan Kennedy’s] thirty-five years in marketing”. The first step is get a message that truthfully shows prospective and actual customer’s experience using the company’s good/service. Just like general surveys the battle field, his resources, and opponent’s potentials before giving orders, the marketer also needs to conduct a thorough survey of “all you are up against – everyone else of significance who may be presenting their messages to your targeted consumer”. How do conduct a survey? You will naturally discover the key to marketing success – message that differentiates you from all your competitors as it is expressed in your Unique Selling Proposition (USP). DK’s definition of USP “is a way of explaining your position against your competition and against all other choices, actual or imagined”. All great businesses (of age gone by or today) use extensively USP. Your USP may express the theme of you business, product, or service; it can be based on any marketing concepts 4Ps, 4As, Blue Ocean Strategic Factors. There are great example in the book that I highly recommend you to read. Does this business have a USP? If not, can I think of one for it? If yes, is there a way I can think of improve it? Is there any idea here I can borrow for my use? Lastly, DK says that any marketer who wants to truly be at the top of his career needs to have a Magnificent Purpose or personal success philosophy. That purpose or philosophy needs to be connected with your marketing. As legendary coach Lombardi pointed out, excellent (presumably being the best one can be) requires reinforcement and utmost ability to execute the fundamentals. Below are outline of the fundamental concepts of marketing. The key element of this blog is not to all-encompassing inventory of marketing terms but highlight of the simple concepts that we all use. With the new data and technology, the businesses realized that customer have not separate marketing from the product—it is the product. The introduction and selling of your company’s products and services to past, present and prospective customers by first optimizing and leveraging all of your company’s marketing assets[i]. Past customers, current customers, marque customer (ex, turning them into a celebrity), testimonials, salespeople, company’s advertising (ex logo, tag line), referral programs, current sales and marketing processes, location, reputation, time in business, relationships with other businesses, E-books, guides and handbooks, apps, studies, cheat sheet, videos, mix media posts, employees, suppliers, company’s culture, brochures, blogs, corporate website, social media sites, SEO. There are two phases of marketing requiring different approaches. The first is getting attention in the marketplace of your offering. The channels of engagement include advertising, tradeshows, web marketing, direct mail, salespeople prospecting, etc. Real marketing begins when a prospect expresses interest in the product or service. They enter into the gravitational pull of the company. Just like in any team, the strength is measured by the weakest link. Most companies, at this stage, lose their customers because of the internal inefficiency to create, nurture, sustain, and elongate relationship. A succinct description of what you company can do better than anyone else[v]. [iii] There are three analytics concepts – data, information, knowledge. Data can never be wrong, information can, and knowledge is built upon the use of the other two. The reports, spreadsheets, databases, etc is information. As such, information is never conclusive, always has assumptions, and is limited. Analytics methods are means of finding hints in the data that a hypothesis is not wrong with current set of available information and knowledge. What is the purpose of resume? Every word in the resume should sell your credentials and value to a potential employer. Resume not only speaks to your past accomplishments, but it also acts as a predictor of your future capabilities. Keep them in mind when deciding how much you need to change your resume to make it work for your profile. It is a statement that communicates who you are in the workplace. Using a profile summary or career summary is gradually fading away. Instead, replace it with a branding snapshot or profile snapshot. Write the newsworthy information in short, impactful statements or with as few words as possible so they can get the facts immediately. Personal branding isn’t just about the words you use; it’s also communicated visually through word pictures and images. COMMUNITY AFFAIRS MANAGER with 10 years of experience visualizing, developing, and organizing company wide philanthropic events, maintaining connections with hundreds of nonprofit organizations, coordinating diverse employee volunteer opportunities, and creating dynamic external and internal event communications. Why is it successful? It gives a snapshot of your history in the field while providing branding attributes that describe what makes you successful. Also, it gives examples of previous accomplishments that offer insight into how you can help an employer succeed. The first step to creating a high-impact resume is determining what you’re trying to accomplish. With a clearly defined career objective, you can write a resume that conveys the experience, skills and training that best serve your overall professional aspirations. The majority of job seekers may incorporate their career goals into a Qualifications Summary instead. Give employers something specific and, more importantly, something that focuses on their needs as well as your own. Career changers and entry-level workers should consider incorporating their objectives into their resumes, because their goals may not be clearly defined by their work history alone. If you’re targeting a particular position, add a formal objective statement and reference the job opening. The hiring manager will see you took time to customize your resume and that the opportunity is important to you. For career changers: Accomplished administrator seeking to leverage extensive background in personnel management, recruitment, employee relations and benefits administration in an entry-level human resources position. Extremely motivated for career change goal and eager to contribute to a company’s HR division. Entry-level workers: Dedicated CIS graduate pursuing a help-desk position. The second step, focus on how you would benefit the employer, not on how the employer would benefit you. Keep it concise and targeted. Hiring managers often sort through hundreds to thousands of resumes to fill one job opening. Make it easy on them by keeping your objective short and to the point. Put the most important information at the top of the first page. With decreasing attention spans, writing tweet-sized resume sentences is a right-on-time strategy. Both of these phrases could describe the same person, but the details and specifics in example will more likely grab an employer’s attention. Definition: how you contributed to your employer, or it’s an achievement that reflects the kind of worker you are. The most convincing accomplishments are measurable. Employers look for achievers, candidates who go above and beyond their job duties. Write the newsworthy information in short, impactful statements or with as few words as possible so they can get the facts immediately. Share a challenge/situation/problem, the action you took to address it, and the result. Write the result by sharing how it positively impacted your employer or client. 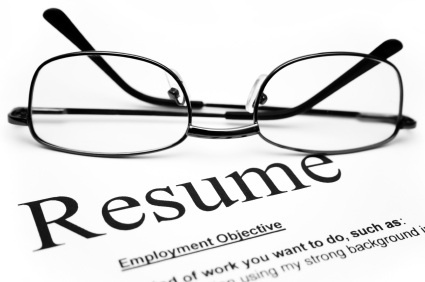 A resume should be long enough to entice hiring managers to call you for job interviews. Create brief sentences that communicate key accomplishments, your branding statement, and critical information you don’t want the employer to miss. On the second page, include a page number and your name and contact information. Allow for quickly scan the document, because it makes good use of white space, features clear and consistent section headings and uses bullets to make important items stand out. Many resume writers may bold their previous job titles and italicize subheadings within each section of the document. Do you want people to communicate better with one another? Do you hope to expand the breadth of our already-expansive technology? Write down what you’d like to achieve—along with those skills you possess that can help you attain your goals. Recognize your brand attributes, then apply them to your professional history. To identify your attributes, come up with at least three nouns to describe yourself as a professional. Are you a great communicator, leader, visionary, or organizer? Then drum up three sentences that round out your professional history in relation to those attributes (e.g. I have 15 years of experience leading groups through philanthropic efforts). After completing these goals, you’ll have enough information to create a truly outstanding branding statement that not only gives an employer confidence in your ability to succeed but boosts your own confidence as a top professional. What is your personal brand color? Did you receive praise, recognition or pats on the back from your supervisor or colleagues? For what (e.g., completing projects ahead of deadline, calming down irate customers, saving money)? Did you receive a promotion, award or commendations from customers/clients? Were you selected for special projects, committees or task forces? Name three accomplishments that make you proud. Did you complete a particularly challenging assignment? Participate in a solution that improved customer service, enhanced efficiency, saved money/time or increased revenues? If you quit your job, what would everybody say about your work at your good-bye party? Write a detailed version of your resume once that includes everything you think is relevant to the opportunity. Then go back and remove everything that is not essential. Once you’ve done that, go back and cut out everything that is not critical. If it isn’t, take it out of the resume. Save the discarded content in a master file so you have it if you decide later you really do need it. Web Presentation is a powerful to reach across the wires to the very customers who you can help. It is the society’s answer to the drive through need for exchange of information from experts. However, just like any technology, web presentations abide by the laws of technological evolution, least of which is Schumpeter’s creative destruction. Currently, the web presentation is at the point of the category renewal. Certainly, in business lingo, webcast and others are part of weekly use by the leaders. There has been a slow down in the thought leadership around this marketing tool. It is difficult to locate searching for best practices. Although various web presentation methods share a common goal – moving customers by stimulating their interest through engaging, educational, and/or entertaining content, there are key difference between different methods. Leaders need to think of web presentations not as a single event but as a web experience. It is a tool of any marketing mix and should be considered. Although it is a myth that 67% of the sales journey is done digitally without involving sales, sales is still involved in the process but requires to be more prepared to deal with much better informed customers and prospects (Megan Heuer, SiriusDecisions, 2013). Web presentation can work to fill all points of the customer’s journey. Interacting with human in real time is an important component in building trust. An important element to the dimensional of a customer journey is Bloom’s Taxonomy. Surprisingly, little to any web presentation mentions this powerful learning tool practiced by teachers. Marketing and sales using the verbs appropriate for the nature of the presentation. There is a simple yet very intuitive table that can help shape the conversation with your audience. Web presentations can help marketers and sales acquire real-time information or confirmation on where in the customer position in the customer journey. Content can be created specifically to determine if the marketing automation’s assumption. Failure of attendance or questions can be a clear indication that the content is not stimulating any response (assuming that ignoring any marketing is the natural steady state of a customer). Web presentations can be used in the Marketing Automation (MA). In essence, parts of marketing and sales can be done profitably by computer. Web presentations by their very nature required tremendous human effort and commitment. While MA is standardized, webcast is customized. Yet, the key elements and data feeding the two tools are very similar. What I envision, is that MA would bucket the possible subjects and corresponding customers and prospects. The system can also create time sensitivity to see if, based on CRM and other systems, customers like to consume content at various time periods (weekends, 7am to 9am). I look at the share economy as another indication that most of the new labor is unable to live at the level of the prior generations. Optimizing or efficient use of resources is only necessary if there is a pressure on income. In the 1950’s and 60’s, US consumers continued to grow their houses’ number of car garages because of the astonishing wealth production. Today, China is looking to find efficient use for their manufacturing because of greater competition and lower demand from the globe. One of the key drivers of Philadelphia is the wealth transfer that is happening on unprecedented scale. Pennsylvania has been the largest receiver of students while New Jersey the largest exporter. With the largest number of hospitals of any city, Philadelphia is winning at the healthcare share of the market. However, most of the hospitals operate on a very small profit margin (around 2-5%). Therefore, the high specialization wings of various hospitals are being constructed. Moreover, the wealth transfer is happening as the older generation is moving into the city to take advantage of the support resources available for senior citizens. Philadelphia has one of the largest percent of the population who are retired of major cities in the US. The Philadelphia’s Market street transportation hub is one of the best next works in the United States. That is why one of the casino applications was for 8th and Market Street. The wealth is being transferred from the suburbs. Washington and Miami are likely to overtake Philadelphia metro area in population (Source: New Geography). Although New York exported 26,957 individuals to Philadelphia (Source: Washington Post).